What can we do in the face of threats? He is our light & salvation. The bombings in Brussels happened so far from us, yet the reality of such an attack weighs heavy in our minds. Americans know that terrorism can happen anywhere. So we can relate to the fear that’s engulfed the people of Brussels. Certainly, we can’t know the terror they experienced and are still feeling. But media reports give us some idea. FOX News Network’s online article, “At least 31 killed in terror attacks at Brussels airport, Metro station” describes the horror travelers witnessed today. The scene was described as harrowing, with blood everywhere. Like a war scene. There was confusion, chaos, and crying. The exploding bombs sparked panic. People ran to escape, but were unsure where to flee. Some were left dazed. Most were filled with fear. Horrific events like this put things into perspective. Moms raising kids with mental illness (MI) may know one kind of fear. The kind that grips a mother’s heart, day in and day out. Fear of what might happen next. Many worry their child’s life will be lost to suicide or to a drug overdose. Many feel their child’s life has already been lost, in a sense, to MI. Most of us haven’t been victims of mass destruction. We watch the news and can only imagine such terror. 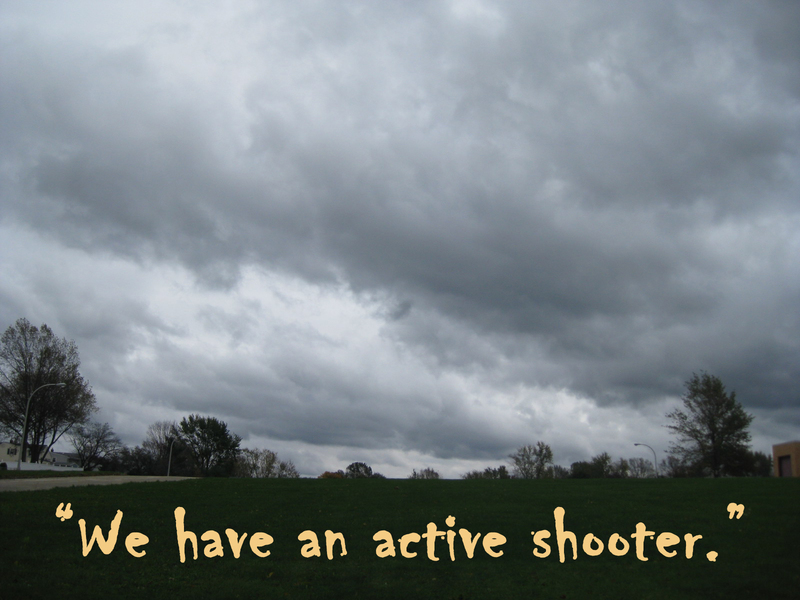 We hear witnesses’ accounts of how life had been suddenly ravaged. And we begin to pray for them. All of humanity holds their breath, wondering where the next attack will hit. But we’re all determined not to give into the taunting fear. So we grapple with this question: What can we do in the face of threats? Fear is fear. It’s an emotion that contaminates our calm at one time or another. Countless stories in the Bible tell of fear triggered by approaching threats. God has included those stories so we have examples of how to respond. We can open the scriptures and hear some of those heroes whisper words of wisdom. Abraham shows us how to handle fear. Abraham “did not waver through unbelief regarding the promise of God, but was strengthened in his faith and gave glory to God, being fully persuaded that God had power to do what he had promised” (Romans 4:20-21). How do people get persuaded? I contemplated. Undeniable facts are presented. So I reasoned: if I want to have that same unshakable faith, I should reflect on the undeniable facts about God. He is real. He cares for me and my loved ones. He will never leave me. He has power to do what He has promised. Still I needed more of a pep talk from another Bible hero. I found it in 2 Chronicles 20. Jehoshaphat shows us how to face fear. One king knew what it was like to face an attack from Syria (and other armies). Notice how he felt and what he did. First: “Jehoshaphat feared, and set himself to seek the Lord, and proclaimed a fast throughout all Judah. So Judah gathered together to ask help from the Lord; and from all the cities of Judah they came to seek the Lord” (2 Chronicles 20:3-4). That’s what the citizens of Brussels and all over the world are doing: seeking help from the Lord, and gathering together to pray. That’s what a mom can do as well. Seek the Lord and ask others to pray. Next: Jehoshaphat acknowledged God’s power and remembered what His past victories. He said, “Lord, the God of our ancestors, are you not the God who is in heaven? You rule over all the kingdoms of the nations. Power and might are in your hand, and no one can withstand you. Our God, did you not drive out the inhabitants of this land before your people Israel and give it forever to the descendants of Abraham your friend?” (2 Chronicles 20:6-7). To bolster our faith, we can also reflect on what God has done. We can also acknowledge God’s power and remember how He has worked in our lives and in the lives of our kids. After that: Jehoshaphat made a remarkable statement. He boldly proclaimed that, “If calamity comes upon us, whether the sword of judgment, or plague or famine, we will stand in your presence before this temple that bears your Name and will cry out to you in our distress, and you will hear us and save us” (2 Chronicles 20:9). His was a declaration of faith in God, no matter what. Jehoshaphat knew that details and situations don’t change God. No matter what, he believed God would hear and save them. Jehoshaphat’s example inspires us to also believe that God will hear and save us from our troubles. Next: Jehoshaphat told God why he was afraid, and asked God to provide wisdom and victory. “O our God, will You not judge them? For we have no power against this great multitude that is coming against us; nor do we know what to do, but our eyes are upon You” (2 Chronicles 20:12). Likewise, we can also tell God why we’re afraid, and ask God to provide wisdom and victory. Following that: Jehoshaphat, even before he went to fight his enemies, bowed before the Lord and worshipped. He even appointed people to sing praises to God. “Jehoshaphat bowed his head with his face to the ground, and all Judah and the inhabitants of Jerusalem bowed before the Lord, worshiping the Lord. Then the Levites of the children of the Kohathites and of the children of the Korahites stood up to praise the Lord God of Israel with voices loud and high … And when he had consulted with the people, he appointed those who should sing to the Lord, and who should praise the beauty of holiness, as they went out before the army and were saying: ‘Praise the Lord, for His mercy endures forever’” (2 Chronicles 20:18-19. 21). Jehoshaphat and his people worshipped God even before knowing the outcome. If he can do that, so can we. By faith, we can worship the Lord even before we know the outcome. Because we know He’s faithful. How did God respond? The spirit of the Lord said, “Listen, all you of Judah and you inhabitants of Jerusalem, and you, King Jehoshaphat! Thus says the Lord to you: ‘Do not be afraid nor dismayed because of this great multitude, for the battle is not yours, but God’s’” (2 Chronicles 20:15). God reminded the people that the battle is His. We can be assured of the same fact: the battle we’re fighting is His. God is bigger than any battle. Jehoshaphat reassured the people, “You will not need to fight in this battle. Position yourselves, stand still and see the salvation of the Lord, who is with you, O Judah and Jerusalem!’ Do not fear or be dismayed; tomorrow go out against them, for the Lord is with you.” (2 Chronicles 20:17). We can stand still and watch God work, with the assurance that God is with us. How did the battle end? God had the armies defeat themselves. “The Ammonites and Moabites rose up against the men from Mount Seir to destroy and annihilate them. After they finished slaughtering the men from Seir, they helped to destroy one another. When the men of Judah came to the place that overlooks the desert and looked toward the vast army, they saw only dead bodies lying on the ground; no one had escaped” (2 Chronicles 20:23-24). There are others in the Bible who show us how to face fear. The Israelites were about to enter the Promised Land. Before they crossed the border, God gave them instructions. “The Lord said to Moses, ‘Send some men to explore the land of Canaan, which I am giving to the Israelites’” (Numbers 13:1-2). Fear defeated some of the spies because of what they saw. They reported, “We can’t attack those people; they are stronger than we are … We seemed like grasshoppers in our own eyes, and we looked the same to them.” (Numbers 13:3b-4a). Thankfully Joshua and Caleb kept their focus on the Lord. They reported a future victory, despite the size of the enemy. And bolstered the peoples’ faith by saying, “If the Lord is pleased with us, he will lead us into that land, a land flowing with milk and honey, and will give it to us. Only do not rebel against the Lord. And do not be afraid of the people of the land, because we will devour them. Their protection is gone, but the Lord is with us. Do not be afraid of them” (Numbers 14:8-9). We need not fear; the Lord is with us. Daniel’s friends show us how to deal with fear. Just being thrown into a fiery furnace, the said, “Our God whom we serve is able to deliver us from the burning fiery furnace, and He will deliver us from your hand, O king. But if not, let it be known to you, O king, that we do not serve your gods, nor will we worship the gold image which you have set up” (Daniel 3:17-18). We, too can be certain God will be with us. Regardless of the outcome, we can still worship the king of all Kings. What did God do? He walked with them in the fire and spared their lives. The king responded in his astonishment, “I see four men loose, walking in the midst of the fire; and they are not hurt, and the form of the fourth is like the Son of God” (Daniel 3:25). God walks with us as we go through burning trials. David and other psalmists show us how to remove all fear. The psalmists knew about fear. David and others kept their focus on God. Fears of their enemies vanished in light of God’s power. “The Lord is my light and my salvation—whom shall I fear? The Lord is the stronghold of my life—of whom shall I be afraid?” (Psalm 27: 1). “The Lord is my rock, my fortress and my deliverer; my God is my rock, in whom I take refuge, my shield and the horn of my salvation, my stronghold” (Psalm 18:2). “He will not let you fall. Your Protector will not fall asleep. Israel’s Protector does not get tired. He never sleeps” [Psalm 121:3-4 (ERV)]. I added those verses from psalms to photographs I took. As my gift to you, I’ve included four reminder cards at the beginning of this posting. Let me leave you with words from Isaiah. I pray they’ll echo in your mind during uncertain times. “Fear not, for I am with you; Be not dismayed, for I am your God. I will strengthen you, Yes, I will help you, I will uphold you with My righteous right hand” (Isaiah 41:10). Some good news came from the medical community recently. New recommendations have been made regarding screening adults for depression. Why is this good news for moms raising kids with mental illness (MI)? Because the news is elevating awareness about the prevalence of depression. Those whose lives are impacted by a loved one with depression need not feel so alone. Several reporters highlighted the need to remove the stigma surrounding MI. In that article, Szabo included this quote from one of the task force members. The new guidelines also addressed depression in pregnant mothers. That has prompted discussions about the difference between baby blues and clinical depression that can follow the birth of a child. So, I’ve been doing a lot of thinking about emotions. When I taught second graders, I planned several class reinforcement activities. Often the entire class deserved to be rewarded. Instead of handing out stickers, I preferred to involve my students in fun mini-lessons. One of those was an art/music activity. “Use your crayons to draw on your paper a design that matches the music being played,” I’d instruct. I’d start by playing a slow, classical song. The students would move their hands slowly across their papers. Even their bodies would sway gently to the music. Then, I’d switch to a fast, lively tune. That would trigger an instant shift in mood. Suddenly, I’d have 25 bouncing beans for students—all with heads like bobble heads. They’d make short, jerking strokes on their papers. Wouldn’t it be nice to be able to shift our child’s mood so easily? There’s one person in the Bible who could ease a king’s torment. God used David to sooth Saul’s torment. “Whenever the spirit from God came on Saul, David would take up his lyre and play. Then relief would come to Saul; he would feel better, and the evil spirit would leave him” (1 Samuel 16:23). Can music be that powerful? It absolutely can be used to minister to a depressed child. I’m not advocating that it be the only strategy used to help a child who is depressed. A multi-disciplinary approach to treatment is necessary, where a team of specialists treat the mind and body. Skilled therapists or counselors can provide encouragement and teach coping strategies. In addition, a psychiatrist can prescribe medication to treat the neurophysiological cause for the depression. We know it’s also important to address the spiritual well-being of our children. God is in the business of meeting those needs. He answers our prayers and faithfully fulfills His promises. In addition, the Bible gives us another tool to comfort our emotionally fragile children. You look at your child’s despondent face, void of expression, and wonder if playing worship songs will help restore joy. You hope it can provide relief like David’s music did for Saul. I believe it can calm turbulent emotions. Let me share another anecdote that illustrates the power of music. Years ago, I was the Bible instructor and Assistant Director for an overnight Christian camp for handicapped children. Each summer children with a variety of special needs attended our camp for one week. Campers were assigned to groups according to their age and disabilities. One group consisted of young elementary age boys who had Attention Deficit Hyperactivity Disorder (ADHD). To say they were a handful to manage would be an understatement! Their schedule included a mid-day nap or resting period. Not only did those active kids need it, but so did their counselors. Their senior counselor came to me one day seeking help. His bleary eyes reminded me of how mine looked when I’d pull an all-nighter studying at college. “The boys won’t sleep or even rest during nap period. PLEASE, you gotta help,” he begged. “I’ll stop by their cottage during nap period,” I promised. Later that day, I headed toward their cottage. Before I could see the cottage, I could hear music playing loudly. The closer I got to the cottage, the more I realized the sound was coming from their room. The blasting music had a fast drumbeat. It was the kind of music you’d play at a wedding to get the guests up on their feet to dance. Surely not the kind of music you’d play to help hyperactive children drift off to sleep! I entered the cottage and unplugged the boom box. I left with the boom box under my arm, calmly assuring the counselor, “You shouldn’t have any more problems.” And he didn’t. “Just snap out of it!” What psychiatrist would ever prescribe that treatment for depression? One did. Lucy charged Charlie Brown five cents for that advice. Sadly, we know that it’s not possible to just snap out of it. So what do we do with our fears and frustrations, regret and remorse, guilt and grief, sorrow and shame? Can we silence those painful feelings which result from mental illness (MI)? Why can’t we just face illogical situations without reacting? Spock did it in Star Trek. But he was a fictitious alien. That character was portrayed by a real man with human emotions. In the New York Times’ article “Leonard Nimoy, Spock of ‘Star Trek,’ Dies at 83” Virginia Heffernan shared one of Nimoy’s statements. Is it possible to suppress emotions? Would it be wise to wave a wand over our child’s head and magically remove all feeling? Would it be better to spare him any future pain of MI at the expense of feeling anymore joy? When Chris had to endure his first stay in a psychiatric unit I don’t know who was in greater pain: him or me. 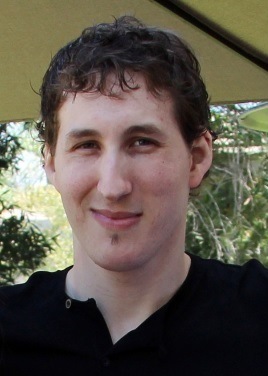 My seventeen-year-old son’s body lay on my lap in a fetal position crying, “Why? Why can’t I go home?” The gentle strokes of my fingers on his head couldn’t wipe away his turmoil. It took several months for Chris to become functional enough to return to school. My own heartache grew so excruciating that I became numb. I’d watch movies to escape the tragic reality of my life. Even tear-jerking story lines couldn’t cause me to shed a tear. I had already cried an ocean-full. The book of Psalms became my comfort. I identified with the Psalmist who engaged in healthy self-talk. The Psalmist showed me a better way to escape. In the privacy of my bedroom, I could turn to God and find refuge in Him. Psalm 57:1 became my prayer. I found relief in the promises of Psalm 51: 10 and 12. That God would restore my joy and sustain me. So would it be better to be like Spock, void of emotions? Having experienced the joy of the Lord and knowing His perfect peace, I say no! I’m glad I’m not like Spock. But here’s a thought. 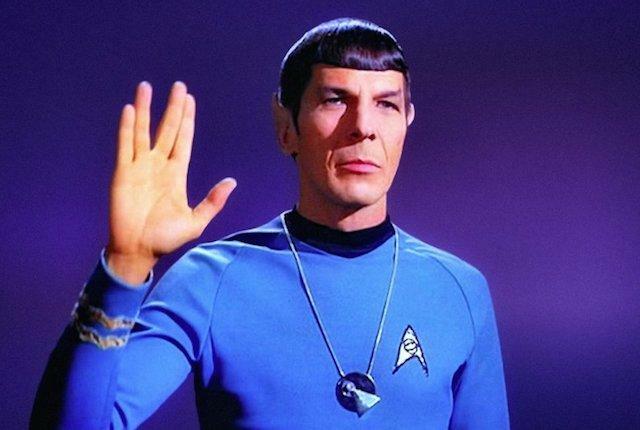 We can actually achieve Spock’s blessing: “Live long and prosper.” Christians have been given the gift of eternal life and have access to God’s unlimited riches. We WILL certainly live long and prosper. I don’t know about you, but I’m grateful for emotions. With the ability to love and be loved by God. What a wonderful way to greet others: by sharing God! Later in Philippians, Paul implied that he wasn’t always joyful in his circumstances. We read him say, “I have learned to be content whatever the circumstances (Philippians 4:11).” Then we understand it was a process for him to find contentment in trials. Likewise, the more we experience God’s faithfulness, the greater contentment we’ll find in our situations. We surely may not be happy for challenges and heartaches. But it is possible to rest in the knowledge that God is still in control. If you doubt that Truth, just listen to the words of another prisoner. 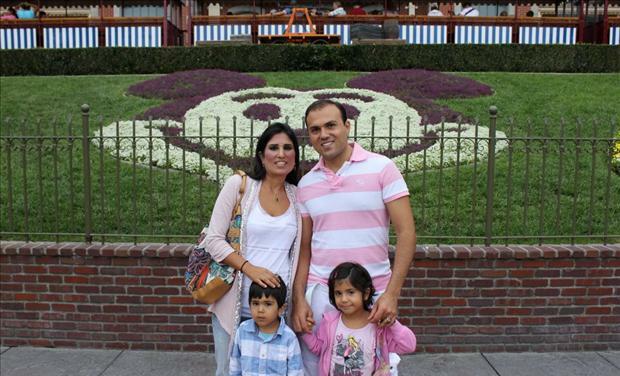 An American, Pastor Saeed Abedini, has been in an Iranian jail for over two years. He endures ongoing torture and beatings simply because he won’t denounce his faith in Christ. He wrote a letter to his eight-year-old daughter as a birthday gift. Listen to his wife, Naghmeh read that letter. Warning: Kleenex alert!!! Pastor Abedini assured his daughter that Christ is in control. His unshakable confidence, in the face of evil, comforts us as well. His God is our God. To hear more of the family’s story, listen to Naghmeh Abedini making her plea to Obama to get her husband home. Her children describe what it’s like to have their father in jail. Are you in secret pain? Many people with mental illness (MI) are. That includes Rick Warren’s son, Matthew. His suicide thrust the famous author (of The Purpose-Driven Life) and his wife into deep despair and grief. 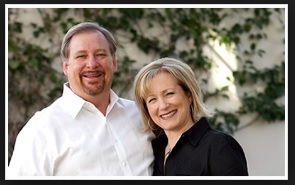 Pastor Rick Warren and his wife, Kay shared their painful story in a CNN interview with Piers Morgan. That interview took place about a year ago, only five months after their son shot himself. Rick and Kay have mounted a campaign to raise awareness of MI. They’ve designated October 10th as World Mental Health Day. Listen to them talk about their reasons for offering the free online event. You’ll find that you’re not alone. They understand your pain. Just like Jesus. Visit Kay’s site to find out more about their ‘24 hours of hope’ which they will host in two days on October 10th. You may or may not have lost a child to suicide. But if your child has MI you’re experiencing grief nonetheless. World Mental Health Day will offer you encouragement and hope. Lord willing, you’ll also find more healing as well.